Last.fm announced it is shuttering its music streaming services in order to focus on helping users build their music profile. The internet-based streaming radio offered an ad-free radio for subscribers ($3/€3/£3) who can now request refunds. Over ten years, our goal has always been to allow people around the world to discover new music with as few limitations or restrictions as possible. However, the music landscape has changed considerably during that time and we’ve been forced to make some very difficult decisions surrounding our core products and services. In response we’ve chosen to focus on what we think Last.fm does best: scrobbling, music discovery, and recommendations. The Last.fm scrobbling app will still be useful if you want to maintain your music listening history across all services and music. You can download it here. 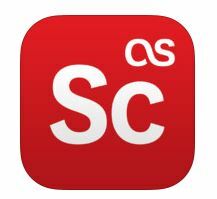 For users seeking alternatives to Last.fm, see our list of apps and sources for music discovery.